This newsletter #12 is reaching you during summer. We hope you'll find some interesting food for thoughts while you enjoy some well deserved rest. Here some brief information about the recent Eucass conference and future developments. The unabridged version is available at the Eucass website here. The number of papers received reached a total of about 600, of which 455 were presented either orally or in poster format. There were 37 countries represented. Following the procedure of previous conferences, a selection of papers will be made by the session and symposium chairs for printed publication. We are looking for possible sites for the seventh Eucass, which will take place the weeks July 1 or 8, 2017. If you have suggestions, please let us know and we'll send you a document describing our technical specifications and procedures. Our colleagues at www.eucass-proceedings.eu have published the 7th volume of their collection in Progress in Flight Physics. The book contains thirty-five papers selected from over 140 papers presented in the Flight Physics sessions at EUCASS 2013 (see archive here at the main eucass webserver) in Munich, Germany. These papers were reviewed by experts, revised, and throughly edited to provide state-of-the-art knowledge in their respective fields. The articles are of Open Access type, and are available for you on the eucass-proceedings website here. Energies of chemical bonds and reorganization of free radicals. Dihydroxylammonium 5,5/-bistetrazole-1,1/-diolate (TKX-50): Breakthrough or an error? Cherepanov, A. N. and Orishich, A. M. and Pugacheva, N. B. and Shapeev, V. P.
Kurbatskiy, A. F. and Kurbatskaya, L. I.
Moshkin, N. P. and Fomina, A. V. and Chernykh, G. G.
Benderskiy, B. Ya. and Chernova, A. A.
Vozhakov, I. S. and Arkhipov, D. G. and Tsvelodub, O. Yu. Bondareva, N. S. and Sheremet, M. A.
Jha, B. K. and Aina, B. and Muhammad, S. A.
Zhapbasbayev, U. K. and Ramazanova, G. I. and Kenzhaliev, O. B.
Zabaykin, V. A. and Prokhorov, A. N. and Tretyakov, P. K.
The toc for the issue N.10 is reported below for your convenience. Yin, H. and Song, X. and Yan, Y.
Haghiri, A. and Mani, M. and Fallahpour, N.
Raouf, N. and Pourtakdoust, S. H.
Zhou, Y. and Yan, Y. and Huang, X. and Zhang, H.
Zhen, Z. and Gao, C. and Zheng, F. and Jiang, J.
Wu, Z. and Cao, Y. and Ismail, M.
Wang, Y. and Zheng, W. and Sun, S.
Patron, R. S. F. and Berrou, Y. and Botez, R. M.
Chauhan, V. and Kumar, S. A. and Rathakrishnan, E.
Cui, D. and Yan, S. and Li, J. and Qin, Z. and Guo, X.
Boulekchour, M. and Aouf, N. and Richardson, M.
Ding, Z. and Cai, H. and Yang, H.
Sahoo, R. and Singh, B. N.
Dynamics and temperature of combustion of wood dust — air mixture in a quartz tube. Evaluation of aftercooler performance for ground tests of rocket engines for orbital boosters. 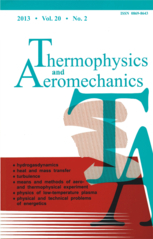 On the problem of modeling the heat exchange of condensed combustion products of solid propellant with a cooling wall. On correctness of the Cauchy problem for two-velocity two-phase viscous flow. Numerical modeling of the impact of shock wave on bubbly environment. Numerical simulation of the momentum transfer from the shock waves to the bubble media. The shock wave of underwater nuclear explosion. Initiation of detonation in heterogeneous mixtures in a small-size tube at rising temperatures. Detonation control of the metal surface plasma modification. Physics of combustion of mechanical activated compositions with titanium—boron—fluorineplast content. Deformation-heat explosion in reactive medium. Molecular dynamics simulation of crystal melting aluminum at high pressures. Nonstationary burning in the plane. 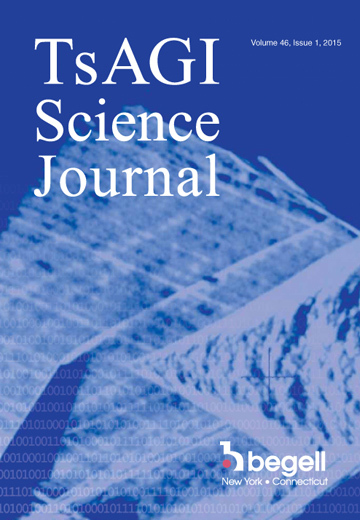 Theoretical models of hotspot-pulsed combustion of double-base propellants and experiment. Effect of iron and boron powders on combustion of heterogeneous condensed systems. Pulsed mode of combustion of subsurface layer in homogeneous energetic materials. Investigation of hydrazinium dinitramide combustion. Features of low-velocity detonation of grained single-base propellants. Kinetic and thermochemical properties of trinitromethyl derivatives of 1,3,5-triazine. Energies of salt formation for heterocycles. Thermal decomposition of triazolo- and tetrazoloterazines. Thermal stability of energetic materials: High-pressure differential scanning calorimetry study. Study of boron particles agglomeration during combustion of high-energy composition. Features of spin combustion of gasless systems. Mechanism of initiation of particles in propagation of combustion and detonation at low-density mechanically activated powder mixtures. Convective burning of fine-dispersed mixtures of ammonium nitrate and aluminum in a closed-volume bomb. Detonation of pressed charges of ammonum pertchlorate and aluminum mechanoactivated mixtures. Laser initiation of energetic complex compounds of some metals. Heat of explosion and acceleration ability of mixtures of high explosives with titanium and titanium hydride. Synthesis, characteristics, and laws of combustion of cyclic nitramines containing ethylenedinitramine group. Combustion of porous samples of nanosized aluminum in air at atmospheric pressure.